Ronald Quinn in the Irish Independent reported last week that there were 70 cranes over Dublin city skyline , just very few for apartments. He expresses concerns that IDA chiefs will not admit - that when we build and refurb all the office space in Dublin then we won't have the accommodation for all the people who are supposed to work in those offices. Our housing crisis has become a stick that other competing European capitals are using to beat us with to attract UK and US services companies over Dublin. Fairly predictable stuff when you consider a little over 2,000 residential units were built in 2016. What's worse is that nobody seems to be able to build units in places where young professionals want to live - in the city centre. That's why notable tech companies are taking matters into their own hands by buying up apartment blocks and hotels. This has to be influential to corporates looking at Ireland and when you couple the housing supply with the income tax thresholds and a rejuvenated Central Bank then it might explain why Brussels and Luxembourg appear to be winning the lion's share of high profile wins. Perhaps the government may actually radicalise its action plan for housing if the EU started imposing daily fines on Ireland, like it does for environmental failures. Maybe there is even a stateable case for a company to sue the State for losses arising from the inability to grow because of the State's spectacular failure to provide accommodation for its citizens? 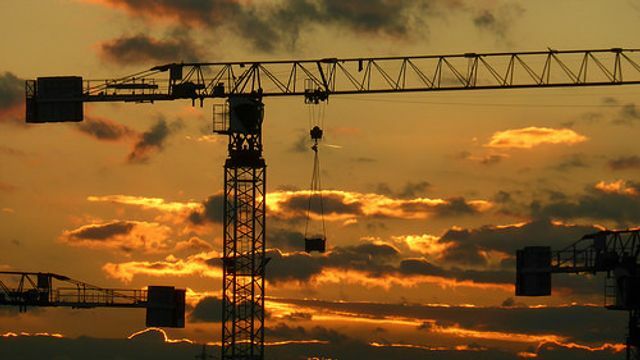 Independent "70 cranes over Dublin skyline should alarm the Government"